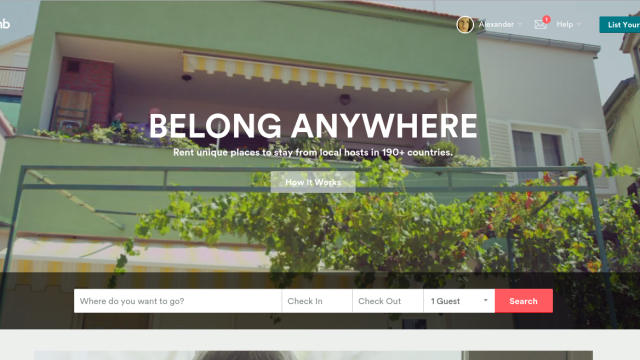 Short-term rentals hurting low-income residents? Some say increased regulation is a must. About two dozen supporters of increased regulations for short-term housing rental companies like Airbnb gathered Tuesday outside City Hall to call for limitations on the number of days units can be rented. The group included representatives of the Venice Community Housing Corporation, the Coalition for Economic Survival and the California Hotel & Lodging Association. With a City Council committee expected to debate a draft ordinance on the issue soon, the housing advocates want Los Angeles to limit short-term rentals to 60 days, and not the 180 days contained in the current draft ordinance under consideration. “I can say firsthand, we have seen short-term rentals devastate our available affordable housing, particularly in our home community of Venice but also all over Los Angeles. Landlords have been creating de facto motels in our neighborhoods,” said Becky Denison, executive director of the Venice Community Housing Corporation. The ordinance has not yet been scheduled for consideration by the Planning and Land Use Committee, but it is expected to be scheduled soon. Other cities have enacted short-term rental limitations, with Santa Monica limiting them to 60 days and San Francisco limiting them to 90 days. The housing advocates argued Tuesday that short-term rentals create incentives for landlords to evict residents in favor of renting their unit short-term, which is hurting low-income residents. Connie Llanos, Southern California deputy policy manager for Airbnb, said a study the company did found that Airbnb rentals in Los Angeles only account for .82 percent of all available housing units and that 3,400 hosts in the city avoided foreclosure or eviction in 2016 and kept their home due to the supplemental income they make from hosting on Airbnb. 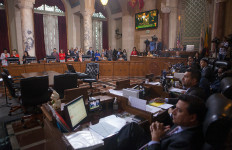 “We know that Airbnb is a lifeline for thousands of Angelenos,” Llanos said. Carlos Camara said he is a resident in a Venice building where every tenant who moved out was not replaced, but the unit was left available for short-term rentals. Camara said he is the last full-time renter in the building. “This has reduced my living situation to basically living in a hotel, not knowing who my neighbors are, not knowing who is coming in and out, and basically decimating my community,” Camara said. Llanos said there are some “bad actors” abusing the Airbnb platform and that company officials take seriously any cases brought to their attention.